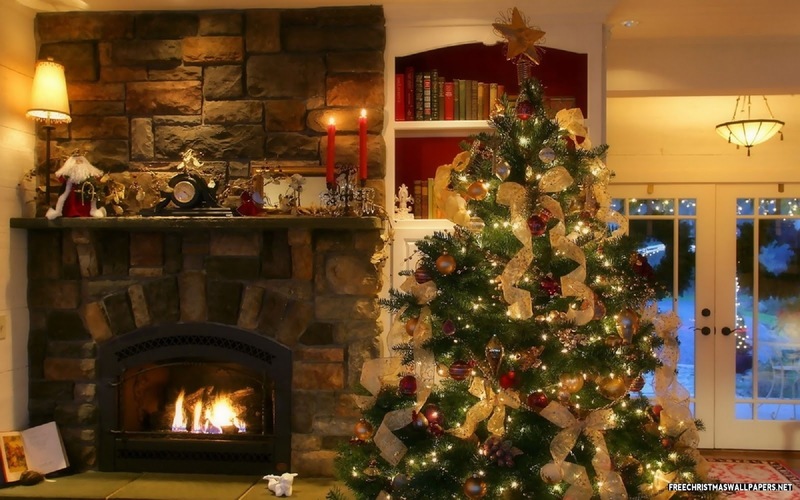 Then suddenly, it all comes screeching to a halt when you realize half the lights on your pre-lit tree did not come on when you plugged them in just now. Either that or the brand new strand you bought last year (to replace the ones that didn't work the year before) - is in a hopeless half-lit ball on the floor which makes you think to yourself...hey wait a gosh darn minute WHY don't they make things last like they used to? Arg. 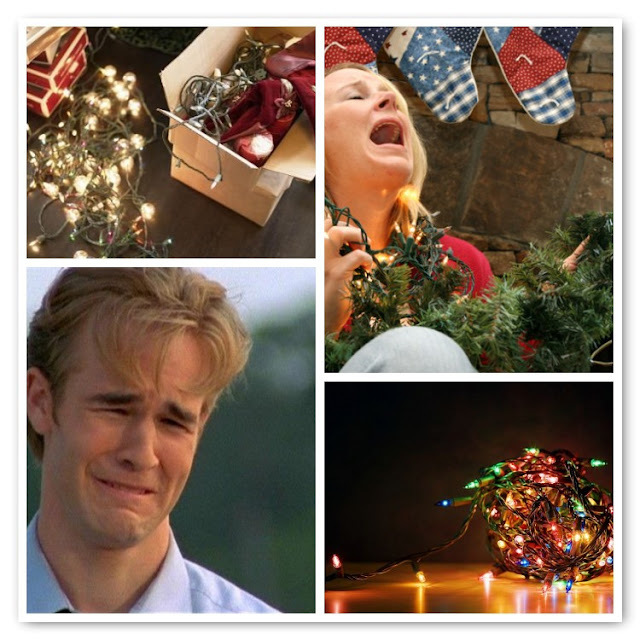 Festive merriment quickly dissolves into tears and frustration as you jiggle the strand (like that helps), scour the line for burnt out bulbs, and eventually, storm off to the store for some replacement strands of lights as your cocoa grows cold. So in lieu of a night of peaceful decorating, the rest of your evening is spent trying to: rip out lights hard-wired into the tree, pulling bulbs out one by one, wrecking your fingertips in the process, secretly sounding like Yosemite Sam as your make up new swear words under your breath, and eventually giving up in disgust - carelessly throwing a whole new light strand over the broken old ones and saying "bah humbug"... that is, until NOW. Hubby stumbled across something and brought it home. I wasn't even sure what to make of it at first but I'm here to tell you, this could save your Christmas sanity. Behold, I give you the best little gizzmo that actually lives up to it's promises... the Lightkeeper Pro. God bless you light keeper pro. It sounds too good to be true, doesn't it? 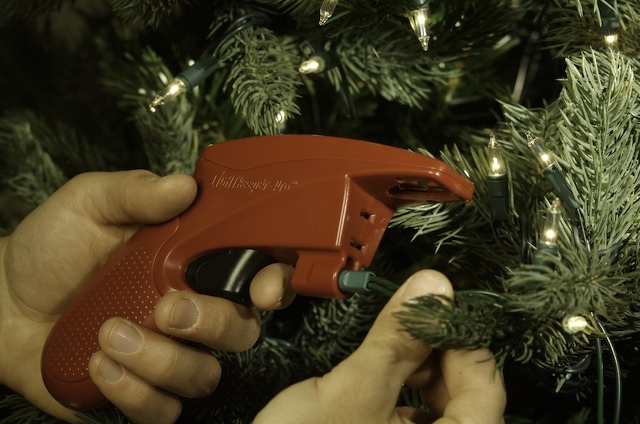 This thing that looks like a cross between a squirt gun, a taser, and a label maker is somehow going to fix your Christmas? I can say now from experience a resounding YES. By the way, I'm not on commission with the company or anything, I was just so shocked that it worked I had to blog about it. This little thing is a wonderment to behold. Talk about your multi-taskers, this baby has it all. 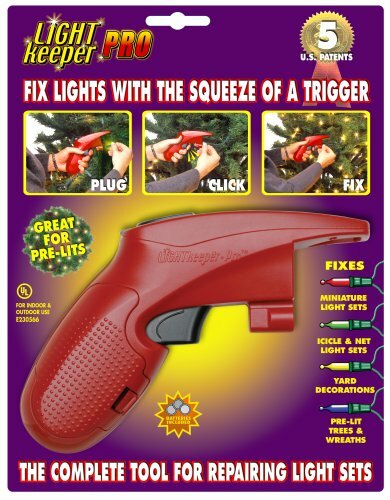 A bulb and fuse tester, an audible voltage detector, a bulb puller (to save your fingers), a light socket connector, a magical "quick fix trigger" and to top it all off, it comes WITH batteries. For $20 bucks that's quite a deal. It will seriously pay for itself when it saves you from buying new strands every year. Well that is the question of the century. My hubby, who is equal parts techie-nerd and geek, who happens to know a bit about currents, circuits, and electricity, was mystified by this thing at first. We had a strand on a pre-lit tree where half the bulbs were out. They did not look burned out, but they were not lit. We pulled one bulb out, tested it on the light keeper pro, then hubby put the tip of the gun in the empty socket, pulled the trigger, and bam, the whole strand lit up. WHAT? That's right. Lit up. That's why I called it the "magical quick fix trigger" earlier. Still high on giddy fumes that it actually worked, we went scouring the interwebs to explain WHY it worked. The best explanation came from an Amazon reviewer named Thomas Dibble (see review here). You can also see it in action on their website here, or the best example and detailed explanation of how to use it can be found below on a news segment where they show you the different features actually working in real time. You can test burnt out bulbs with it, replace just those and you are back in business. You can also test the entire strand for current and discover where loose bulbs or burnt out bulbs may be. My daughters had a mini pre-lit tree in their room they have been using as a night light all year, but it ended up burning out last week. One pull of the trigger and it was up and working again in minutes. Now if you have a strand that is old, damaged, or all the bulbs are burned out in a section, this might not work for you. Nor will it work on LED lights (though I just read they have new tool just for those) but for typical and frustrating strand outages this thing works amazingly well. Anyway, just had to pass this along to you guys. I have a link at the top of my blog in "my favorite things" tab if you want to order one on Amazon. How great will this be, when halfway through the Christmas season and your tree is already fully decorated but THEN a section goes out? No need to disassemble the whole area, just a few clicks from the Light Keeper Pro and it's Happy Fa la la la lalidays once again. Now go put on some Bing Crosby and lets get back to decorating. Hello Christmas sanity, I have missed you! Oh my goodness ... another Christmas Miracle!!! How come we didn't know about this BEFORE we purchased new lights!!! Hmmm... does it work on LED lights?